I’m not a meat eater but this sounds good and I really like how you give such clear and exact instructions so anyone like me could make this! Your card is so pretty. Such a pretty card and that recipe sounds yummy! 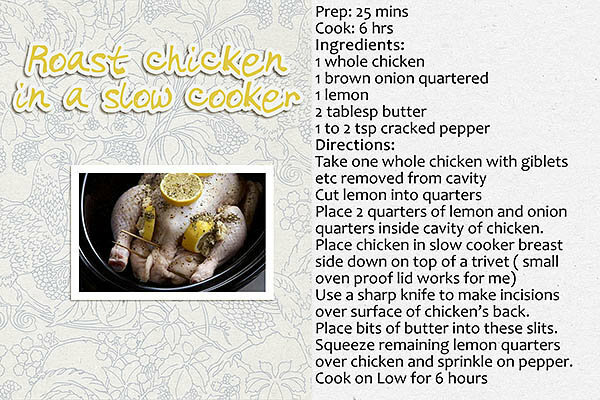 I never use lemon on my chicken, but I will try this. Great photo and pretty card. Thank you for participating! I have to try this! I like the patterned paper and touches of yellow you used!